Randy Smith has moved a lot. From Los Angeles to Colorado to Dallas to Florida (lots of times) to Ohio to Kentucky and many places in between, “a moving truck has always been in my life,” he says. And while Randy had seen his belongings packed up and loaded onto a truck many times, never once had he noticed a company in the industry that placed any emphasis on protecting our environment. That is, until he discovered Eko Movers, a sustainably minded moving company that plants a tree for every move they complete. The idea for Eko Movers came into existence almost 10 years ago at Xavier University when two classmates were assigned a business plan project. The guidelines for the project were simple. They were to create a company, a restaurant, a shop, anything they’d like, so long as it’s business model was centered around protecting the environment. So, when a friend of the students asked them to help her move out of her apartment that weekend, and they spent a few hours inhaling exhaust smoke while unloading piles of cardboard and plastic off of a U-Haul truck, a lightbulb went off (an extremely energy-efficient solar-powered lightbulb, if you will). The moving industry was a place where they could make a huge difference. A semester later, not only did the two get an A for their exceptional business plan, but also a $10,000 investment from their professor to buy their first truck and eco-friendly moving supplies. 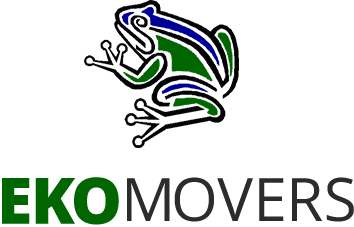 Eko Movers was launched. The company is now run in part by Randy Smith (no he wasn’t just a cool guy to intro this story with). His vast experience in moving allowed him to see the value in Eko Movers and he and his partners haven’t looked back. 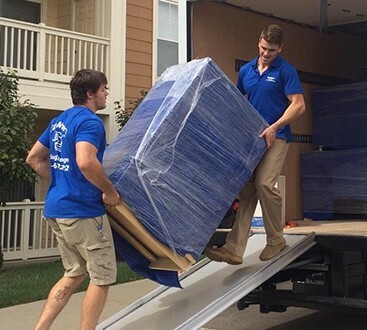 Today, Eko Movers has offices in Cincinnati, Dallas, Tampa, and Orlando and are serving customers nationwide, still making a difference one tree at a time. We got the opportunity to chat with Randy to learn more about what Eko Movers does, what we can do to move more sustainably, and what the future of the industry looks like. You have to think about it from the perspective of “ozone to oceans” Randy says, discussing the different ways that moving affects the environment. From an emissions standpoint, Eko Movers understands the toll that big trucks, especially ones traveling long distances, can take on our ozone layers. To combat that, they use biodiesel as a cleaner alternative to diesel fuel wherever possible and have even gone as far as buying half a dozen unleaded box trucks. Though they are worse on gas mileage, unleaded fuel is much better for the environment, a sacrifice Randy & co. are willing to make to save our planet. On the flip side of that, Eko Movers does several things to protect our oceans, of which Randy notes 8 million tons of plastic are dumped into every day. Firstly, they use biodegradable shrink wrap which, as opposed to traditional types that will literally sit in landfills until the end of time, can decompose. They also use 100% recycled packing paper to limit waste and 100% recycled boxes as often as they possibly can — while they have to be layered with virgin boxes for longer moves because they aren’t sturdy enough on their own, Eko Movers uses entirely recycled ones for local moves and makes sure to reuse all the new boxes that they do have to use. Use plastic storage tubs instead of cardboard boxes. Though they are made of plastic, they’re reusable. If you move 5 times in your life and use 10 storage tubs each time, you just saved 50 cardboard boxes. Use biodegradable packing peanuts. They’re from of natural, non-toxic sources like corn starch and dissolve in water. UsedCardboardBoxes.com will provide you with quality (often new, but unusable by large companies because of labelling issues), pre-used boxes. Over the course of their existence, they’ve saved 2,131,636 trees, and counting! Use 100% recycled cardboard boxes. You can buy them at most home goods stores, and they’re CHEAPER than new ones. “Moving is never going to go away,” Randy wisely notes. For as long as people have homes, jobs and families, they are going to move. And as the world we live in continues to shift towards environmentally friendly solutions, the moving industry actually seems to be falling behind. “You might find ten in the whole country,” says Randy, talking about eco-conscious companies like Eko Movers in the industry. The fact of the matter is, when it comes to moving, providing sustainable options is simply more expensive. And until there is a big enough shift in consumer needs to warrant it, most moving companies aren’t willing to sacrifice their margins to make that change. For Eko Movers, their mission of saving our planet hasn’t wavered. They recently had to hire an arborist to keep up with the amount of trees they’re planting, almost 1,500 in 2017 and continuing to grow. “I wouldn’t call us tree huggers,” Randy jokes, but he certainly understands the impact that planting trees will have on the generations to come. We can all certainly appreciate that.